Syrian Army Captures Strategic Crossroad Town Of Resafa In Raqqah Province (Map) 4.6666666666667 out of 5 based on 21 ratings. 21 user reviews. Pro-government forces, led by the Syrian Army Tiger Forces, have captured the strategic crossroad town of Resafa in the province of Raqqah. The town had been controlled by ISIS terrorist group. The liberation of Resafa is the latest success in a series of advances made by government forces in the province. 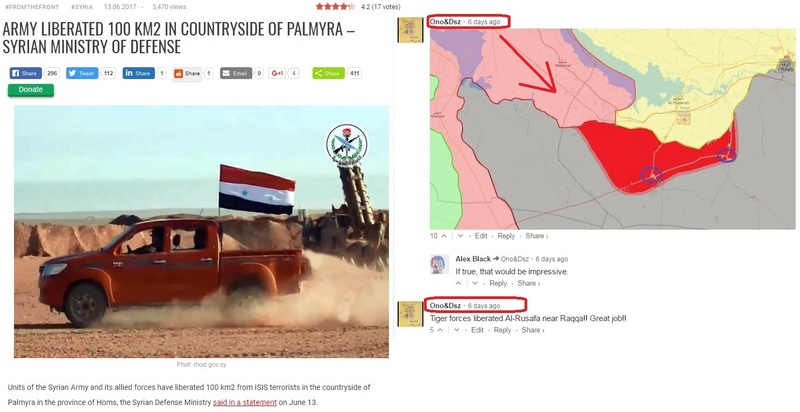 Controlling Resafa, the Tiger Forces and their allies are able to control the road between the town of Tabqah (controlled by US-backed forces) and the city of Deir Ezzor besieged by ISIS terrorists. Meanwhile, reports continue appearing about sporadic firefights between US-backed forces and the Syrian army in the area south of Tabqah. Yesterday, the US-led coalition downed a Syrian Su-22 warplane in the area arguing that the Su-22 had dropped bombs near US-partnered forces. 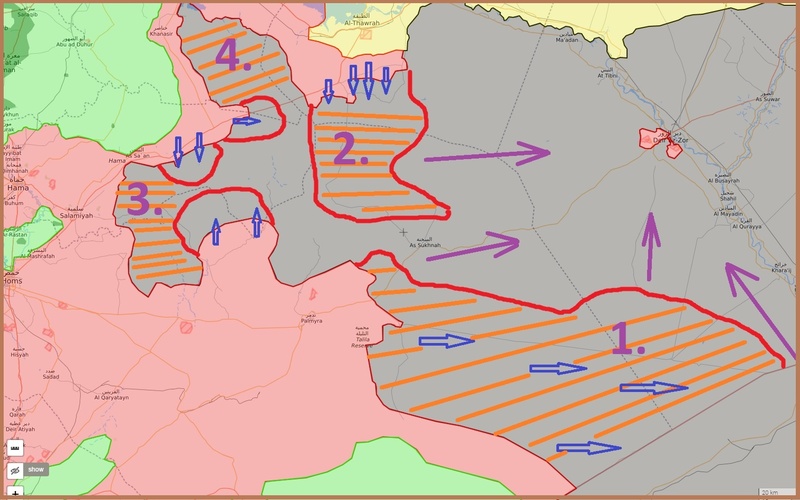 The SAA is making steady progress. That is really good with any luck they can block the kurdish dogs from expanding south. What i saw was that the US were going to use kurdish forces to expand their around Tabqah. Then place a training camp for kurds (an US army camp). Not the mention that another escalation zone would pop up. In short another AT-tanf situation. I’m glad to see that SAA advance had prevented this. What i have also seen was two major operations done by the SAA the operation that captured 5000 2Km of ISIS territory was also made another rebel pocket. Then the operation the reach the border. These operations where Country vs country type operations. I think the SAA should do more of these types of attacks. Not on every front some are still heavy defended for that. But for some front lines this type of operation could prove very useful in gain large amounts of territory. The more they gain the less the US has control over. The long range missiles at Al-Tanf are the only response to that type of operation. But i think the some counter systems from russia could allow the SAA to shoot the down those missiles. kurds are only 10% of Syrian population. kurds controlling land west of the Euphrates is an overreach. kurds control all the water and electricity of largest dams in Syria. This is not going to happen. The idea that Kurds are 10% of Syria is a modern re-writing of the facts. Before the war, the census showed Kurds were 6%. Fudging the numbers is part of the us plan tho legitimize rojava. Aren’t Syrian and Russian forces in the north of the Kurd controlled area as a deterrent to the Sultan? If real trouble was brewing, they’d have to get out. am not sure what u mean? Didn’t Russian and Syrian forces move into the Kurdish area NE of Aleppo as a buffer? Will you predict that SAA will capture Deir Ezzor? The SAA is in control of Deir Ez-Zor already… I do believe you mean when they will “relieve” the besieged city of Deir Ez-Zor….